Despite the huge economic problems that we are facing in Greece, Camera Zizanio faithfull to the rendezvous in Pyrgos, is preparing it’s 12th edition to welcome the fresh audiovisual creations of young people. That’s why we call schools and independent young filmmakers (up to 20 years), to submit their films to be screened (and compete) in Camera Zizanio 2012. In Camera Zizanio, we accept for the competition section short films of children and young people from Greece and other European and Mediterranean countries, that have been carried out either under the frame of school activities, or as the result of individual or collective initiatives. The films can compete in three categories: a. creations of children up to 12 years, b.from 13 to 16 years old and c. from 17 to 20 years. Please note that submissions will be accepted until October 20. The regulations and the submission form are available on our website http://camerazizanio.net . 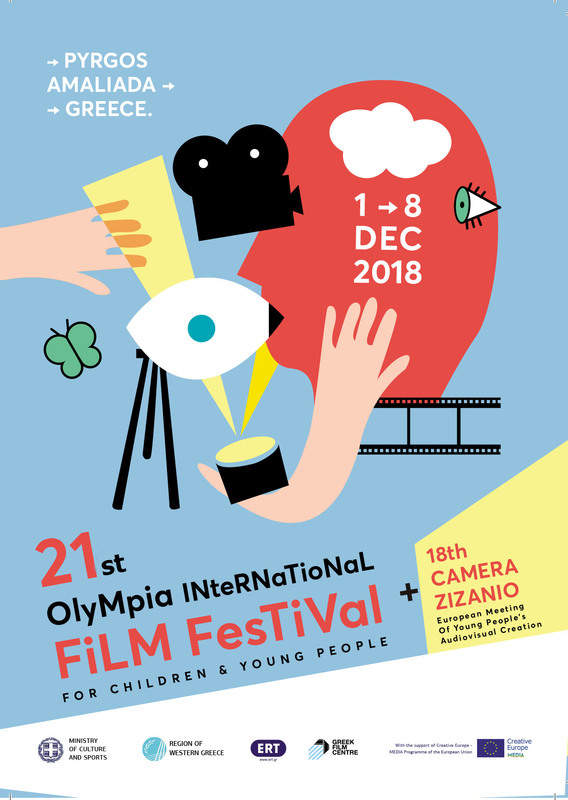 Camera Zizanio is taking place alongside with the 15th International Olympia International Film Festival for Children and Young People from 1-8 December 2012 in Pyrgos and is the culmination of our annual activity. Olympia film festival is screening films from professionals, short , fiction, documentaries and animated films which are created on the principles adopted by UNICEF and UNESCO for the “Cinema for Children and Young People”. Those who decide to be in Pyrgos this week are sure that they are going to live those special moments that offer both Festivals which are considered among the best of its kind in the world, with the excellent choices of films, film workshops, parallel events and the explosive multicultural atmosphere that only young people know how to create. Therefore, we invite schools to plan from now their educational excursion to Ilia, so together with the events of the Festivals, to visit and Ancient Olympia and other archaeological places. So, rendezvous in Pyrgos on the great feast of audiovisual creation of young people! The strongest response to the misery of everyday life and of crisis.